In 1946, de Havilland Canada produced the first Chipmunk trainer. Nimble, great handling, and fully aerobatic, the DHC-1 Chipmunk became an instant success with air forces, particularly the British and Canadian air forces. Fast forward to the 1990's. A man named Gilles Legere of Quebec, Canada, decided to make a home-built version of the Chipmunk, with a few improvements. He fit a 200 HP engine with an inverted oil system and gave it an elegant cowling. He increased the width of the fuselage by 4" at the cockpit, beefed up the structure, and added more fuel capacity. He then painted it in a beautiful rendition of the 1960's scheme from Oshkosh. 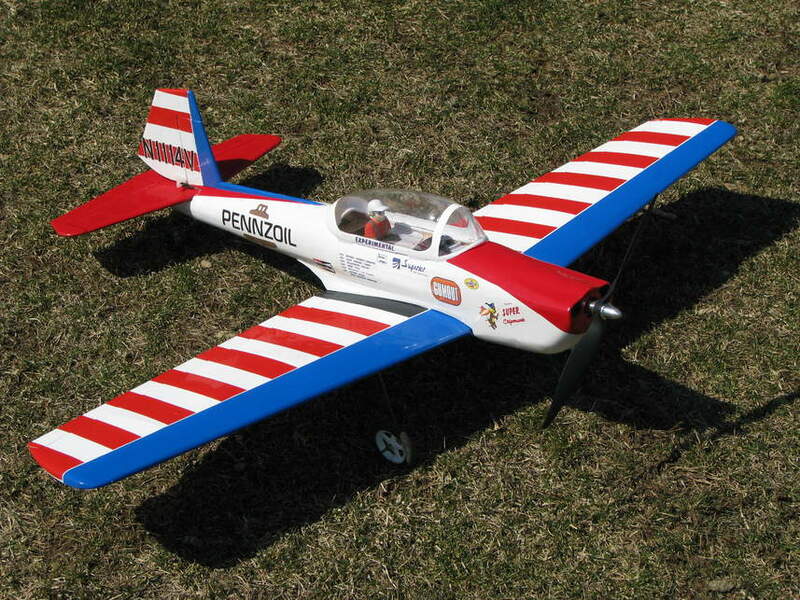 This Super Chipmunk is the airplane that this kit is modeled after. The model is designed to 1/9 scale, with a 45" wingspan and 340 square inches wing area. The prototype used an AXI 2820-10 motor with an APC 11 X 8 1/2 E prop. This short kit contains laser-cut balsa and plywood, printed plans, and a vacuum-formed plastic canopy. You can download the instruction manual from the "Instructions" tab.